Formerly in the Herb Peck Collection, this wonderful 6th-plate tintype image was chosen by Larry Wilson to grace page 34 of his book, "Colt, An American Legend". 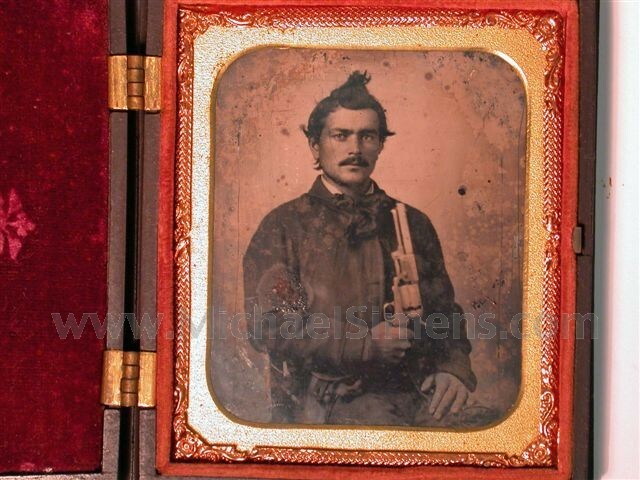 It is a classic image of a handsome Confederate Soldier displaying a huge, Colt Third Model Dragoon with 8" barrel. 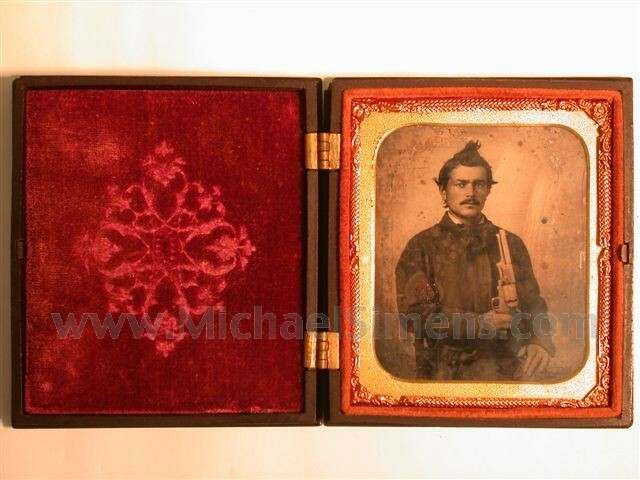 He's very possibly a member of the Crocheron Light Dragoons, the unit that became escorts for Braxton Bragg, Joseph E. Johnston, and John Bell Hood in the Army of Tennessee. The unit is very well-known and are documented as having been issued many late Dragoons with 8" barrels which are marked "C.L. Dragoons". The image shows age and has a small rust spot coming through the emulsion on the soldiers right bicep. This is a great image that I bought from Herb maybe 20 years ago.